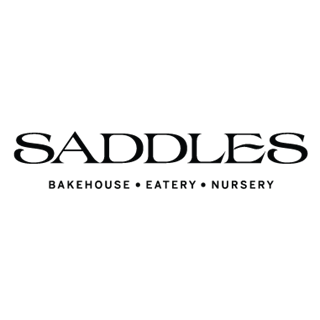 Saddles is a venue inspired by its surrounding bush landscape. The 10 hectare property situated in Mount White with a name that takes inspiration from the craftsmanship of Heath Harris, an artisan saddler who has worked with John Singleton in crafting saddles for his nearby Strawberry Hills Stud, and who has designed unique saddle chairs for the dining room’s brass-scalloped bar. 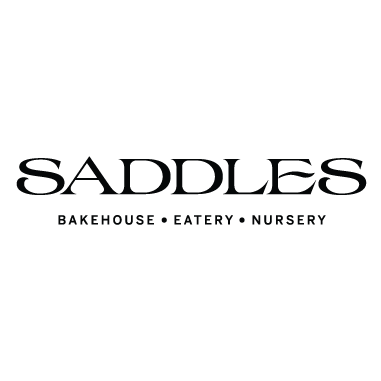 The Saddles menu will be modelled on Cameron's simple and ethical approach to food highlighting the best of local and seasonal produce, utilising the freshest of produce including heirloom varieties cultivated from the onsite kitchen garden at Saddles. Highlights on the dining menu include a selection of house-made charcuterie, savoury pastries, salads inspired by onsite garden, Roast Little Hill farm chicken, local seafood. Daily desserts will be on display including baked chocolate mousse cake, rhubarb pies, custard tarts and honey cream rolls. The bakery offering will include house-made sourdough breads, pastries, sweet tarts, cakes and Australian classics including meat pies with grass-fed beef cheeks and wine, pork and fennel sausage rolls, and lamingtons with an elegant twist made from Valrhona chocolate & raspberry cream.